Jewish and civic community leaders will gather Friday, May 15, to celebrate the groundbreaking of The Mandel Jewish Community Center of Cleveland’s $15 million renovation and expansion project. This exciting multiphase project was made possible through a generous $13.5 million gift from the Jack, Joseph and Morton Mandel Foundation. The Mandel JCC is embarking on a transformational renovation and expansion of its 130,000 sq. ft. facility that will offer the community opportunities to enjoy leisure, recreation, culture, sports, and fitness all within a vibrant and welcoming setting. Much of the building will be updated including many of the public informal and formal meeting spaces along with the renovation of the entire fitness and recreation facilities. The construction company is Legacy Construction Services and the architect is Bialosky + Partners. Throughout the project, the Mandel JCC will remain open and operating. “This exciting state-of-the-art renovation and expansion project is truly an investment in the community and in the future,” said Darrell Young, Mandel JCC board president. 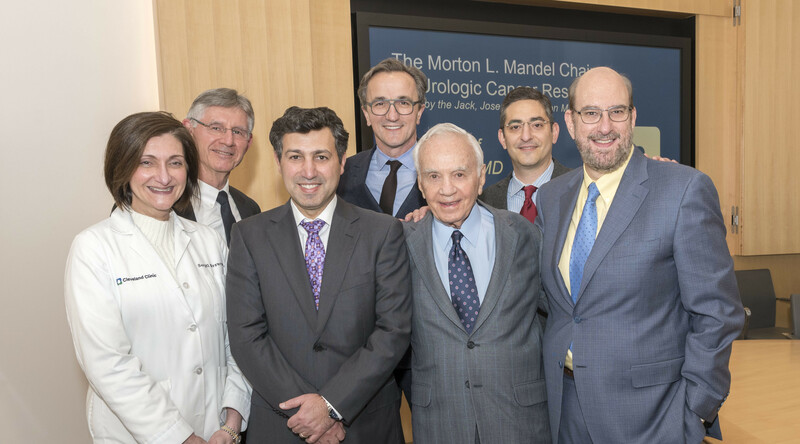 “We are very grateful to The Mandel Foundation for their generous gift which will allow us to better fulfill our mission of building a strong and connected Jewish community for generations to come,” Young added. The Mandel family has been instrumental in supporting the efforts of The Mandel JCC since its inception more than 60 years ago. Morton L. Mandel, a former president of the Mandel JCC (formerly named the JCC of Cleveland,) has been involved in the work of the JCC movement in North America for decades, and served as National Chairman of the Jewish Community Center Association of North America (JCCA) from 1970 to 1974. The Mandel family’s leadership and generosity was instrumental in the construction of the Mayfield JCC building which opened in 1960. Over two decades later, in 1982, once again the Mandel Foundation became the lead contributors in the construction of the existing Mandel JCC facility in Beachwood, which opened in 1986. Their current gift of $13.5 million reflects the Mandel family’s recognition and commitment to the vital role the Mandel JCC plays in building a strong and cohesive Jewish community. Special honored guests that will be attending the groundbreaking ceremony include Jack, Joseph and Morton Mandel, Founders of the Mandel Foundation, leadership of the Jewish Community Federation of Cleveland and dignitaries from the City of Beachwood. The Mandel Jewish Community Center of Cleveland provides programs of exceptional quality for families and individuals of all ages including pre-school and children’s programs, summer camps, fitness, wellness and recreation programming and arts and culture programs. The Mandel JCC is a non-profit social service agency that has been serving the greater Cleveland community for more than 50 years. Membership to the Mandel JCC is open to all.